Mariya Muzychuk from Ukraine is the new World Women Chess Champion! She won the FIDE World Championship in knockout format after defeating Natalia Pogonina from Russia with 2,5-1,5 in the final match. The Championship was held in Sochi/Russia, 16 March – 7 April, 2015. 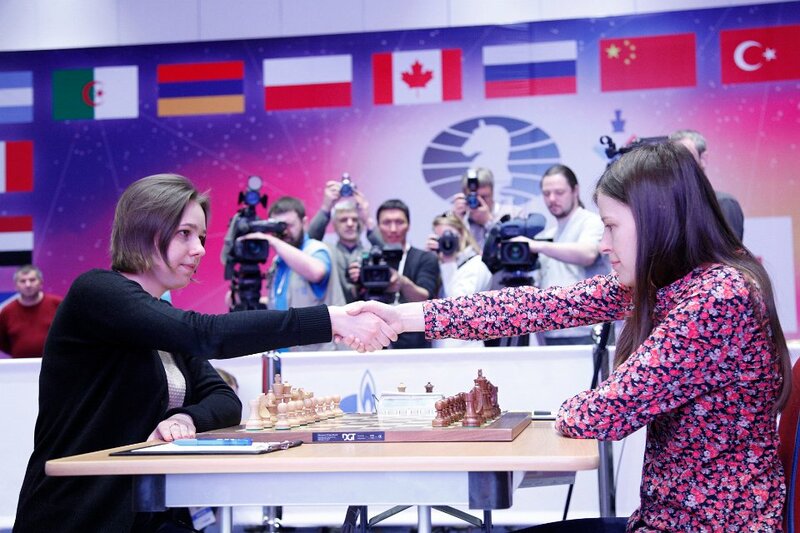 Mariya Muzychuk started with a loss, but eliminated Canadian Yuanling Yuan in round 1 of the knockout competition after a rapid tiebreak with total score 2,5-1,5. Another tiebreak was needed in round 2, where Muzychuk defeated the top Polish player Monika Socko 3,0-1,0. The only clean victory, although not the easiest one, came in round 3, where Muzychuk eliminated the ex-World Champion Antoaneta Stefanova. In the next two matches Muzychuk played against two Indian players. In the quarterfinals Muzychuk faced the top seeded of the event Humpy Koneru whom she defeated with 2,5-1,5, while in the semifinals she defeated Harika Dronavalli after very exciting match and four tie-breaks. 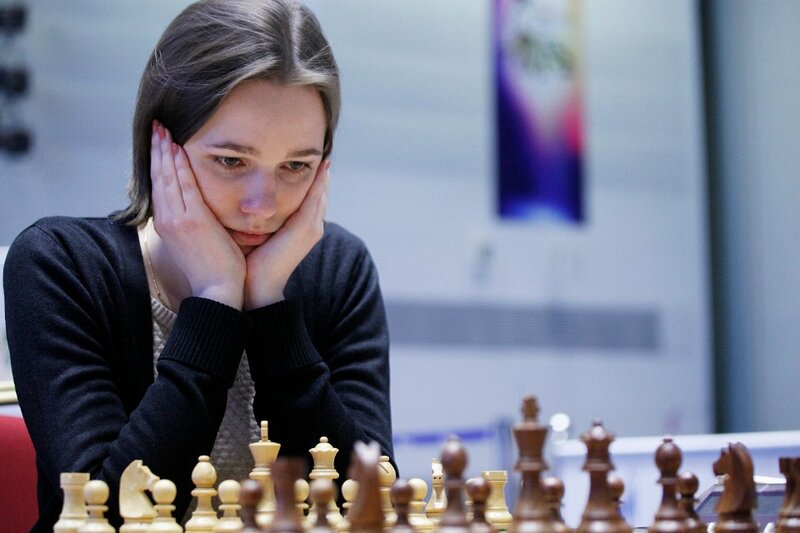 The final match against Natalia Pogonina consisted of four classical games. Natalia Pogonina started with white and did not manage to find advantage in game 1. The next game was probably one of the most tense games of the event, with minor inaccuracies swinging the full point towards Muzychuk. Pognina started strongly again her game 3 with white, but after long thinks and precise moves Muzychuk managed to equalize and even look for advantage. The game eventually finished in a draw. Game 4 was full of nerves, but Muzychuk never lost control and won the title. The new World Champion will defend her title in a match against Yifan Hou later this year. The ECU President Mr. Zurab Azmaiparashvili congratulated Mariya Muzychuk on her title. We warmly congratulate the new World Women’s Chess Champion WGM Mariya Muzychuk. It is not the first time that such an outstanding result is coming from Ukraine, a country with an enormous chess tradition and numerous top and distinguished players. European Chess Union is proud that the Women’s chess crown returned to Europe and we are thankful to the Ukrainian Chess Federation and WGM Mariya Muzychuk.